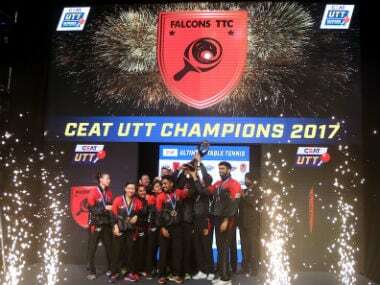 Pune: Holders Falcons TTC survived a scare from Maharashtra United before prevailing 11-10 on points in the opening tie of the second Ultimate Table Tennis (UTT) on Thursday. 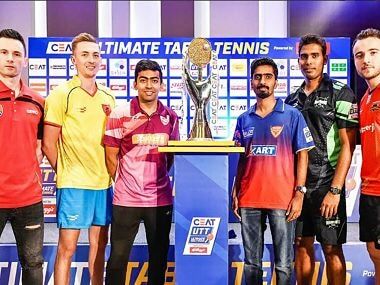 Maharashtra too were powered by their foreign players, Lily Zhang and Kristian Karlsson, who won their respective matches 3-0 to set the stage for an upset. American Zhang provided a flying start by defeating Falcons' Sutirtha Mukherjee in the first match, only to see the Falcons coming back by winning the next four matches. Maharashtra, however, won a game in each of those matches to stay ahead on points. Swede Karlsson, also the World No 18, arrested the slide by defeating Sanil Shetty in all the three games to wrest the lead from Falcons 10-8. But Swede Matilda Ekholm swung the last match in Falcons' favour by upstaging Madhurika Patkar 3-0. 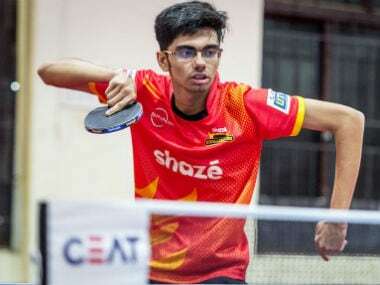 Romanian Bernadette was the star for Falcons as she first teamed up with Sanil Shetty to clinch the mixed doubles against Elizabeta Samara and Anthony Amalraj 2-1. She then stunned her countrymate and World No 19 Elizabeta, ranked four places above her, to give Falcons an 8-7 lead. Results: Falcons TTC bt Maharashtra United 11-10 on points — Women's singles: Sutirtha Mukherjee lost to Lily Zhang (USA) 0-3 (10-11, 8-11, 5-11); Men's singles: Liam Pitchford (Eng) bt Anthony Amalraj 2-1 (5-11, 11-8, 11-9); Mixed doubles: Bernadette Szocs (Rom) / Sanil Shetty bt Elizabeta Samara (Rom) / Amalraj Anthony 2-1 (11-9, 8-11, 11-6); Men's singles: Alvaro Robles (ESP) bt Joao Monteiro (Por) 2-1 (8-11, 11-3, 11-9); Women's singles: Bernadette Szocs (Rom) bt Elizabeta Samara (Rom) 2-1 (11-8, 6-11, 11-6); Men's singles: Sanil Shetty lost to Kristian Karlsson (Swe) 0-3 (4-11, 3-11, 8-11); Women's singles: Matilda Ekholm (Swe) bt Madhurika Patkar 3-0 (11-5, 11-7, 11-5).